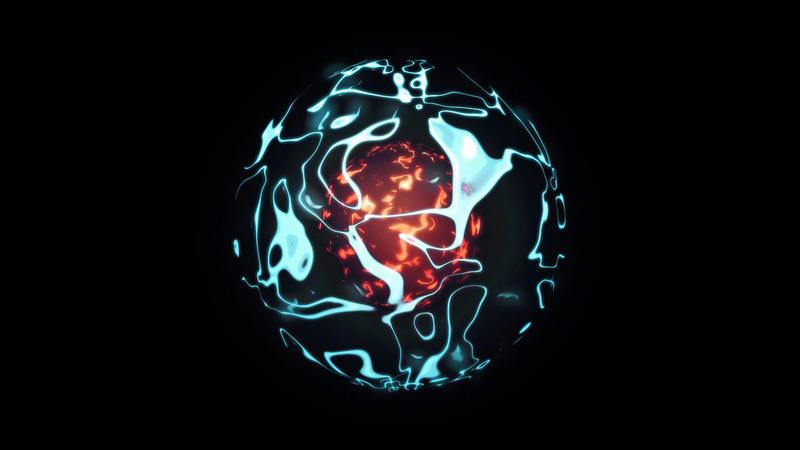 Description: 3d animation of abstract isolated blue magical orb. Burning sphere with plasma ring appears and bursts on black background. Magic and power concept object. Shiny colorful VFX design element in 4K.